This is like announcing a new birth to the world, with all the pride and excitement of a new father. The new member of my camera family is the Fuji XF60mm macro lens, intended to widen the scope of my photography, and bring with it new possibilities. It was quite an investment at £465, but a £100 cashback deal offered by Fuji UK – which runs until 16 January – helped lessen the blow. This new acquisition is a secondary lens for my Fuji X-E1, the camera I use for most of my work. It should prove a useful addition, as the principal lens really struggles to do any meaningful close-up shots. Ironically, it put up a fight when taking the photographs of the XF60mm shown here. I used to revert to my little compact Lumix TZ-20 for close-ups, including a collection of winter shots when London was blanketed in show last year. The little Lumix is likely to sit on the shelf now, although it’s still a handy little camera you can slip into your pocket. And now with an extra member of the family, I’ve invested in a new kit bag, but the load is still quite light. The next job is to attach the new lens and take it out for a spin. Favourable reviews promise very good performance on detailed nature shots, while I’d like to use it to create macro abstracts using texture. 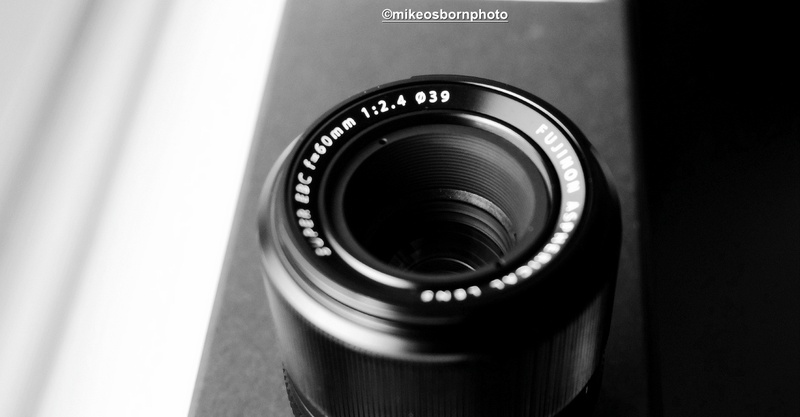 It’s also an effective portrait lens – an area I must venture into this coming year. 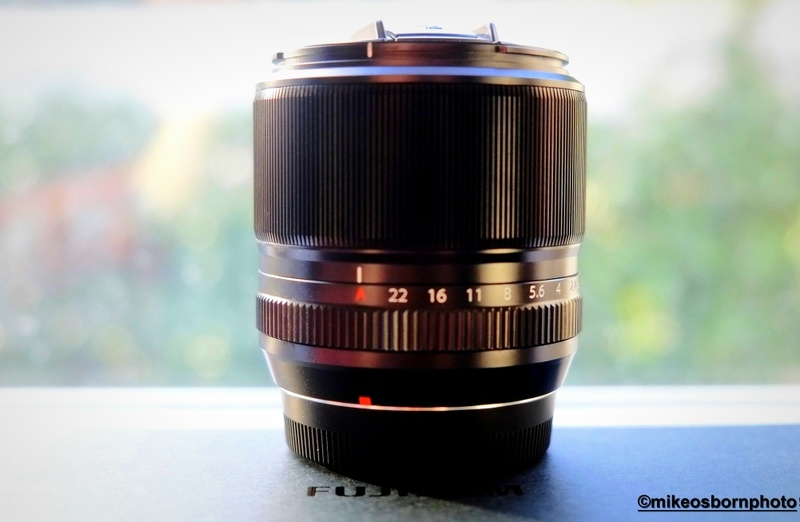 If any of you have any experience of the Fuji XF60mm, please let me know. And any other general tips for getting the most out of a macro lens would be greatly appreciated. I’ll share my first results with you as soon as they are created. Congratulations on your new addition! I know the feeling of owning a new lens… Although price-wise I was quite lucky with mine, as I bought both my “new” ones off of two of my photographer friends who didn’t use them much anymore. As you might know, I love macros, so I’m looking forward to your pictures. Thanks Kiki! Yes, it’s expensive but the offer sold it to me. Am looking forward to trying it out and hope it adds a new dimension to what I do. As a macro fancier you’ll have to give me some tips. I’m thinking the tripod is going to come into its own… I have quite trembly hands. Actually I used to do all shots without tripod until about the last quarter of 2013 when I started using f5.6 a lot. My hands are too shaky for 5.6, but previously I shot almost everything at f2.8, and that went really well without tripod. Oh, and I forgot to say: when I’m outside doing macro, I like to get as close as possible, crouching down on the floor etc, and the tripod would be really inconvenient or impossible to use. Very true. One of those miniature tripods could come in handy. I’m often on my haunches! Ah, great tip. My usual trick is to take a steadying breath before engaging the shutter, but at very close quarters that extra stability is needed. With those winter shots mentioned in the post, I was so cold that I was shivering rather than shaking! Sadly this was evident. So what new bag have you gone for? Too large is better than not big enough! Thanks Camilla! I already have some shots to share. That looks like it will be a great lens. I use my macro hand-held most of the time. My 100mm macro shoots a 1:1 ratio and I find that is pushing it for hand held, so most of it ends up being at f2.8, which I like anyway. If I am shooting higher magnifications with other gear, then it is always on a tripod. I find the tripod quite limiting for getting the exact angle I want, and there is no moving quickly. Sometimes a monopod works well, but mine has no moveable head, so is awkward a lot of the time. I use my 100 for a lot of things that I never anticipated when I bought it, not just macro. I hope you find the same with your new lens. Lovely to hear your experiences. With the new lens, the camera needs to be operated quite differently, which will take some getting used to. But a few test shots in, and I’m quite amazed by it. I’m definitely a little unsteady so might have to consider a stabiliser of some sort. It’s almost like starting all over again! I’m no expert but I enjoy experimenting with my 105mm macro (there are a couple of examples if you search for ‘macro’ on my blog). As I tend to go for plants and small animals, rather than textures and portraits, my experience may not be much use to you! I also find ‘live view’ very useful when working with minimal depths of field as you can zoom in on screen for accurate focussing. Again the remote release is essential for this as any small movement ruins the point of focus you’ve just spent ages getting right! I tend to have a UV protector on all my lenses and the one on my macro has certainly been a good investment – you don’t realise how close you’re getting! Thank you so much for this, Noeline, very invaluable! I really wanted to hear of other photographers’ experiences with macro. I hadn’t thought of the remote release option – that’s a good idea. I’ve already worked out that when crouching down, on my haunches or in most other non-upright positions, it’s very hard to stay spot on. He is huge enthusiast of Fuji Cameras and his post are full of information about his Fuji experience. You are somewhere close in England. Thank you Alexander! So far, so good. And I appreciate the recommendation for Simon. I’ll follow him. Hahahaha! You mean gorgeous?! Definitely! First results encouraging, but I’ve also quickly learnt how close-up devours the light.